Do you remember Cyberpunk 2020, Interface zero or Johnny Mnemonic? Are you fans of Blade Runner, Matrix, Repoman, Ghost in the Shell? If so we are sure you will love our new game, Hint (abbreviation for Human Interface Nakamura Tower). It is a board game taking place in near future (2040), in a cyberpunk world that is dominated by cyber technologies and the dirty tactics of mighty corporations and powerful governments. A world that is all about the quickness of reaction and the speed of fired bullets. The game is for 1+ players, featuring excellent models, modular board and detailed rules. Cyber combat in Tactical Networks? We have Gunfire? No problem. Mortal combats. Sure! Operations in Tactical Networks? Present. Cyborgs, drones and assault groups? There are, or will be soon. The game mechanics are fairly simple as we wanted to achieve a good balance between a fun game and rules that enable many tactical possibilities. The basic rules are easy to learn but the possibilities grow significantly in combination with the characters’ skills and the capabilities of equipment. The characters are defined by their basic Physical and Mental Skills and a set of Special Skills, some unique to the character and some to their Faction, that makes it easier to perform some tasks. The rules do not use any dice with the testing mechanics based on cards that we call CanDo. The description on the card, its value and colour, influence the final result of the test. The numerical value of the card also determines the location of a hit and any additional effects connected to it. The game is based on the struggle between two powerful mega corporations that takes place in the title tower. In HINT you lead a team of selected professionals of a given Faction. Each of them has unique skills and abilities; each one can be given weapons, other equipment and can be enhanced cybernetically. All characteristics and modifiers are presented on special character and equipment cards (to avoid flick through the rulebook). Each character card has a limited number of slots that can be filled with equipment and cyberware modifications. The player can purchase additional equipment to replace a current item depending on the “Team’s assets”. A short bio of each protagonist is will allow the player to identify themselves with the characters. You may like them or hate them but they will no longer be just anonymous pawns. Characters have only two key skills, Physical Skill and Mental Skill to cover their actions and abilities. However, the Special Skills of characters and their Faction, together with cyberware, Neurochips and weapons gives a wide variation in abilities. It was decided that the tracking of ammunition for the wide range of weapons was an unnecessary complication except for a few specialist weapons with limited number of uses. It can be assumed that the characters carry a significant amount of ammunition with them and that some missions involve getting to an armoury where ammunition can be readily replenished. Two main factions are available in the basic version of the game (Ubermensch Mercenaries and Nakamura Corporation), each with characters possessing unique abilities. Every character has its own card with modifiers and equipment. The characters may be equipped with additional items and cyberware depending on the mission and Team’s budget that allows Players to match characters to their own gaming style. Playing against both players is the Nakamura Tower’s defence system. 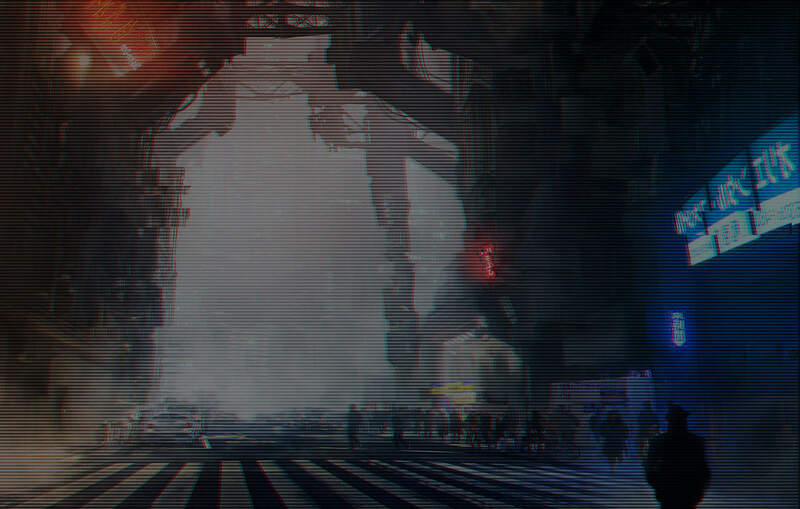 After the first Mission, when the nanovirus was introduced into the defence system’s code making it unstable, it will attack any humans that it finds (it is controlled by a game AI system and not the Players). Its drones, hybrids and avatars move and attack all player characters according to a simple algorithm. The game also offers a single-player option. In such case you play against the board and its mechanics, however, the mission details are very different from two and multi-player versions. Cybernetic augmentations, generally known as cyberware, and Neurochips granting advantages on the battlefield are the essence of the characters. But nothing comes for free! Each piece of cyberware may increase the vulnerability of the character to Cybershock, crossing of the border beyond which our characters are no longer human. Depending on the situation humanity tests can be made every turn. A failed test increases the level of Cyberpsychosis and crossing the limit will turn the character into a mindless drone. The resistance to Cybershock is based upon a character’s Mental Skill which is given on each card and varies between characters. The game is played on a board constructed from the modular square tiles. This creates the interior of the Nakamura corporate tower that is under attack by its rivals. The characters are moved using large squares on the board. This eliminates the need to measure distance when moving and fighting thus quickening the pace of the game and to avoid misunderstandings. Each room presents a specific tactical situation that influences the characters placed on it. All important information is placed on cards so that you don’t need to check the rulebook all of the time. Character, equipment, cyberware and mission cards have all the descriptions and modifiers you need to play the game. This way all of the important information is always at hand and presented in an attractive form. Also the well-developed Cyberwarfare aspect is also based on cards. The rules do not use dice; instead the testing mechanics are based on cards that we call CanDo with a value that influences the final result of the test. The numerical value also defines the location of a hit or additional effects related to the test. What makes HINT so unique is the division of events between those that happen in the real world (on the board) and those that take place in the virtual cyber world. Both influence one another and an advantage in the cyber world grants a significant bonus to actions that take place in reality. Hacking terminals, attacking enemy tactical networks and characters, uploading viruses and many other actions are performed using mechanics similar to card games. Game mechanics are fairly easy as we wanted to achieve a perfect balance between a fun game and rules that enable a lot of tactical possibilities. The basic rules are easy to learn but the possibilities of their use grow significantly in combination with the characters’ skills and capabilities of equipment. The characters do not have predefined characteristics (like attack, defence, intelligence etc.). We assume that such professionals will always hit a stationary target while shooting from a standing position. The characters are defined by their basic Physical and Mental Skills and modifiers, which make it easier or more difficult to perform some tasks. These modifiers result from their skills, special training or cyberware and other equipment.